The superintendent of the Pennsylvania school district, who previously announced that buckets of rocks were placed in every classroom as part of an effort to train for active shooter situations, made a new announcement over the weekend. 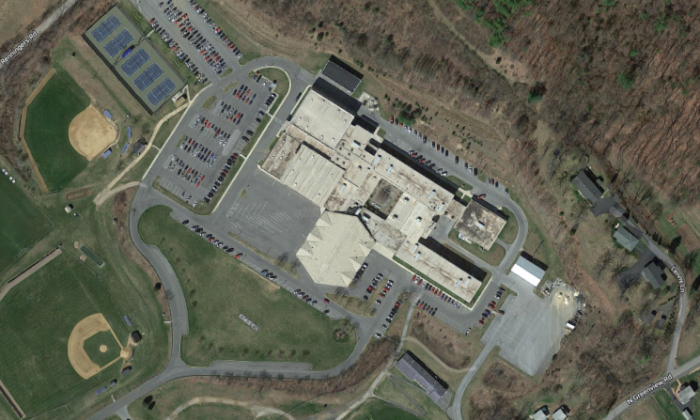 David Helsel, superintendent of the Blue Mountain School District, said in a statement posted on the district’s website on Sunday night that administrators have arranged for additional armed security personnel to be patrolling the schools. “As all of you are aware, recently there has been a great deal of media attention brought to Blue Mountain School District. This attention was due to social media posts that took comments out of context and misrepresented our actual planned response to armed intruders (particularly with the planned use of stones). This unfortunate circumstance has increased our concern regarding the possibility that something may happen because of the media attention,” Helsel wrote. Helsel drew attention to his school when he announced in a committee hearing that a five-gallon bucket of “river stone” had been placed in classrooms as an option for students to use against active shooters. “If an armed intruder attempts to gain entrance into any of our classrooms, they will face a classroom full students armed with rocks and they will be stoned,” Helsel said. “At one time I just had the idea of river stone, they`re the right size for hands, you can throw them very hard and they will create or cause pain, which can distract,” said Helsel, he added to WNEP. “All classrooms have buckets of river stones that students and faculty can throw at an intruder as a last level of defense against intruders,” he wrote. On Friday, Helsel posted a video on Facebook that explains the safety program ALICE, which administrators have instituted in the district. The training, which stands for “Alert, Lockdown, Inform, Counter, Evacuate,” helps students and teachers prepare for an active shooter event. If an intruder enters the building, all occupants will be informed, and teachers will evaluate whether to flee or lockdown in their classrooms.